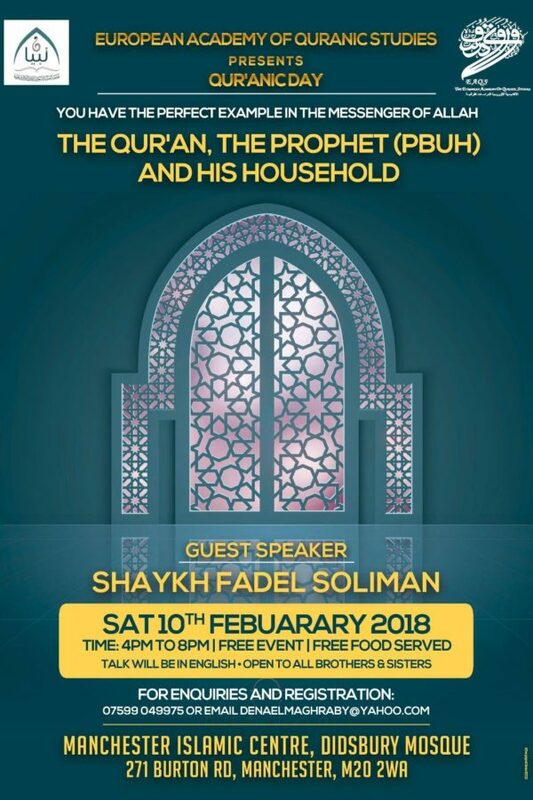 To promote the teaching of Al-Tadabbur and other Qur'anic Sciences. 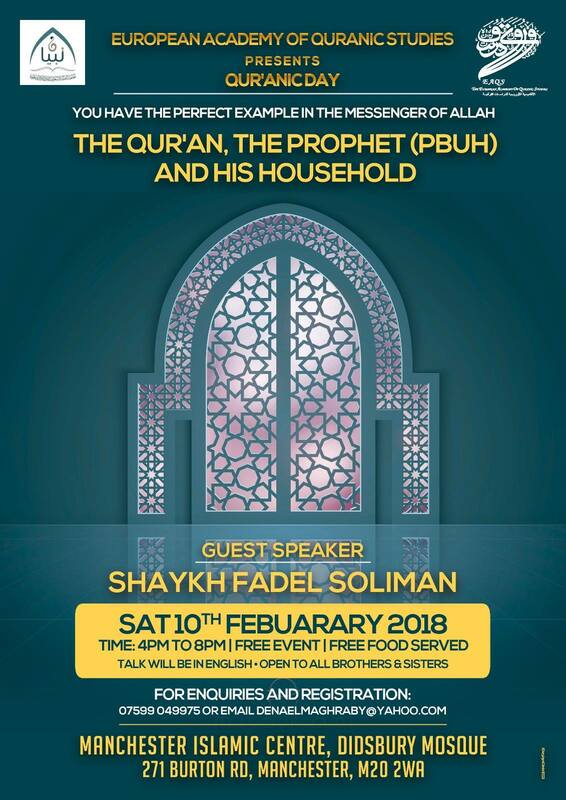 Rediscover a forgotten tradition - Tadabbur Al Qur'an. 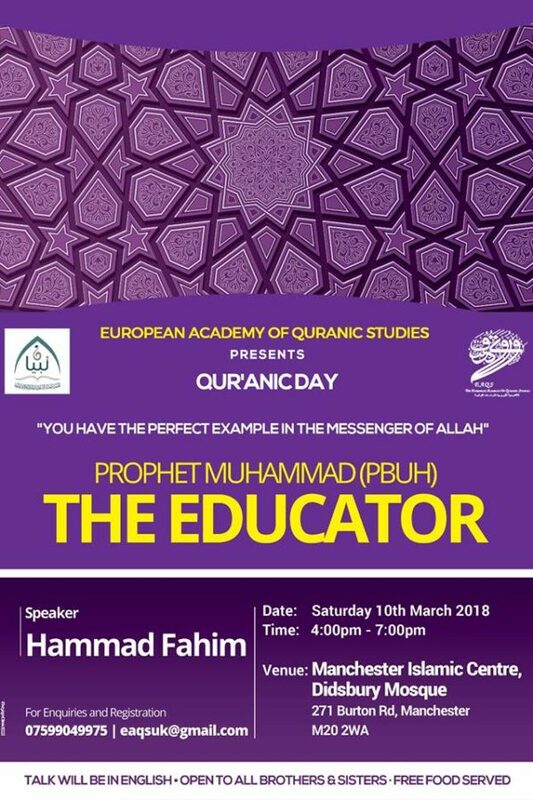 The European Academy of Quranic Studies (EAQS) is a non-profit academic institution based at the British Muslim Heritage Centre. It was established in 2012 to promote the study, teaching and research of Al-Tadabbur and other Qur’anic sciences. 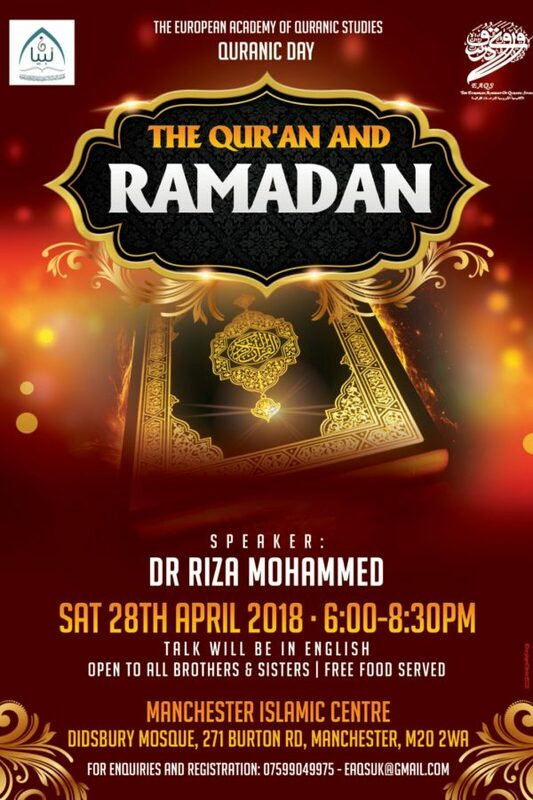 EAQS seeks to promote a balanced and comprehensive understanding of the Qur’an and its relevance to modern society by organising courses, seminars and conferences and publishing educational materials for students, teachers and members of the wider society. A Board of Directors under the guidance of Scholars and Advisors manages the Academy. 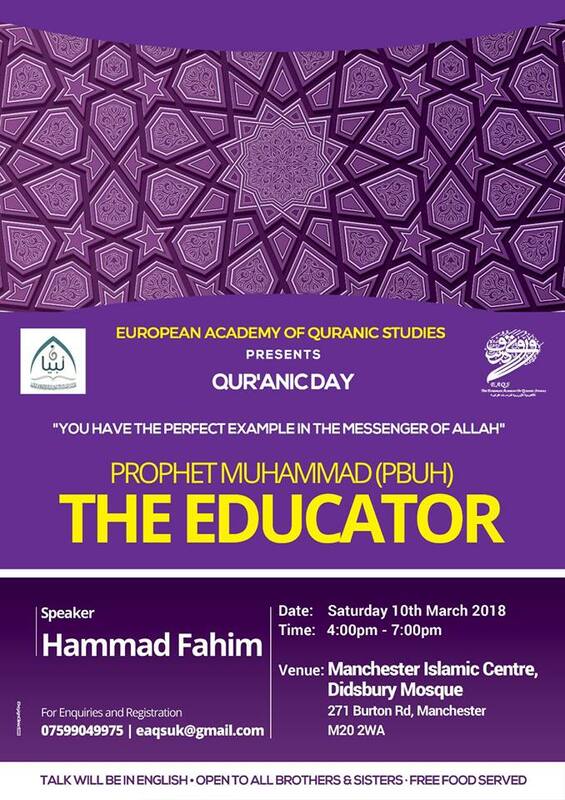 European Academy of Qur’anic studies is a non-political charitable organization. We are inclusive and welcome all faiths and are committed to serving the community. We recognize the multi cultural, multi faith and ever changing nature of the United Kingdom, and therefore those it serves. We understand the importance of our role in ensuring that groups or individuals within our organization are not subjected to intimidation or radicalization by those wishing to unduly or illegally influence them. EAQS will do its utmost to ensure that key ‘British Values’ are reflected and applied in all our activities. The academy’s main purpose is to contribute to the ongoing Islamic Renaissance, which is bridging the gap between the east and the west perspectives. 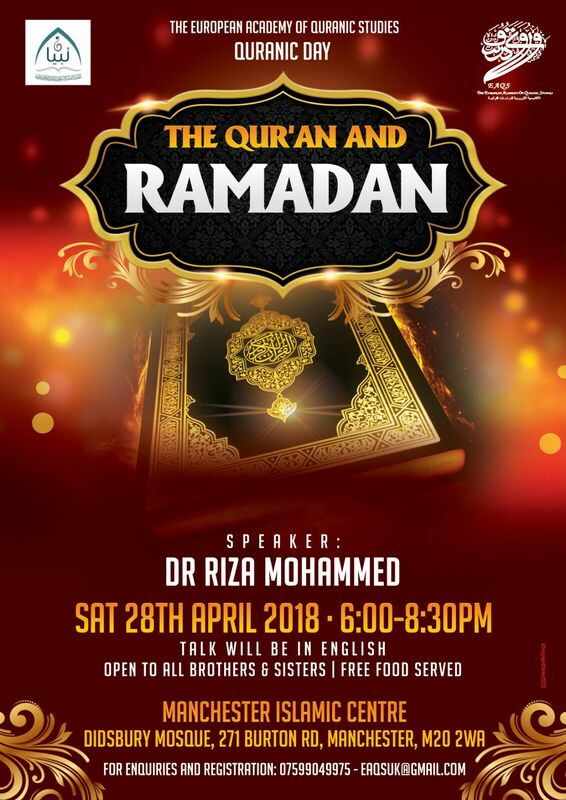 Helping local & the wider community, with evidence based knowledge of the Qur’an, to help inform practice of Islamic values and its discipline in the modern society. What Are EAQS Aims & Objectives? 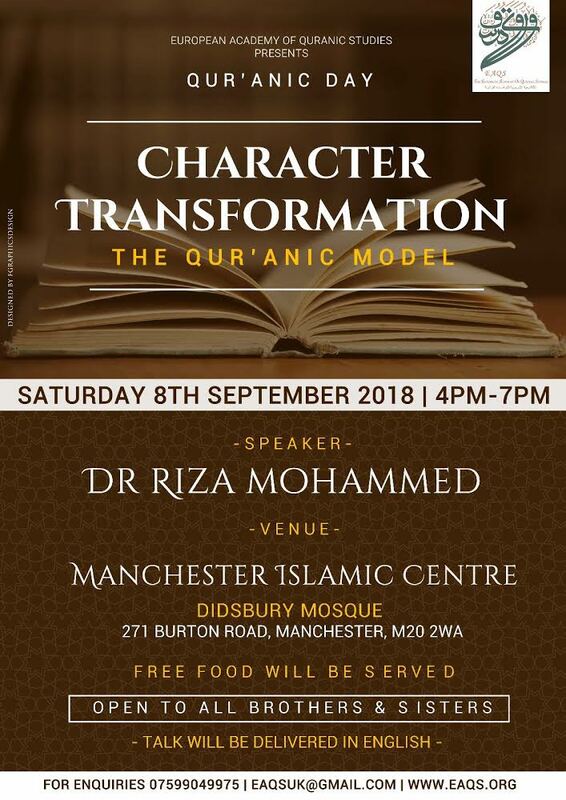 To promote the teaching of Al-Tadabbur (contemplation & reflection of the Qur'an) and other Qur’anic sciences. 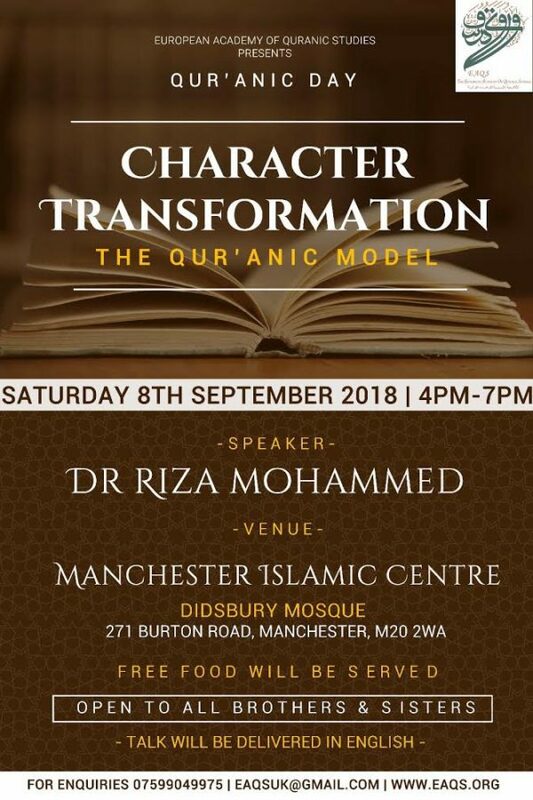 To organise and arrange training courses, symposia, seminars, workshops, conferences and exchange of scholars for the teaching and comprehension of the Qur'an and it’s sciences. Monthly lectures and seminars (Qur’anic Days) in the form of workshops and seminars on Tadabbur and Qur’anic studies. Qur’anic Tadabbur and sciences teacher training courses. One year (part-time) courses of Tadabbur Al Qur’an workshops. Online teaching course for GCSE Islamic studies and other accredited Islamic programmes.